Get signed up for 2019-2020 Competition tryouts! 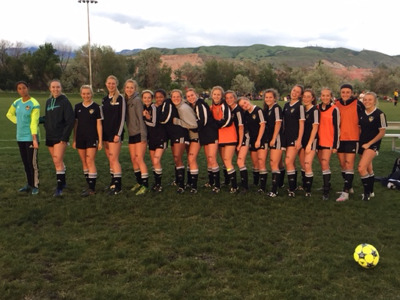 Competition tryouts are held the last 2 weeks in May: U8, U9, and U10 take place May 20-23rd. U11 and older are held week of May 28th-31st. See below for your 2019-2020 birth year and age group tryout times. 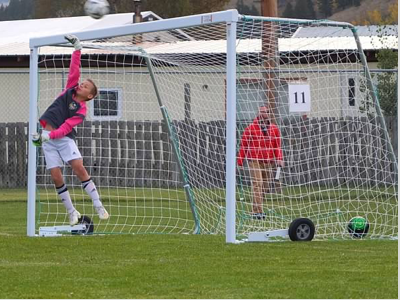 All tryouts take place at Bonneville Jr. High School. Note: U8 age group players will 'play up' in U9. 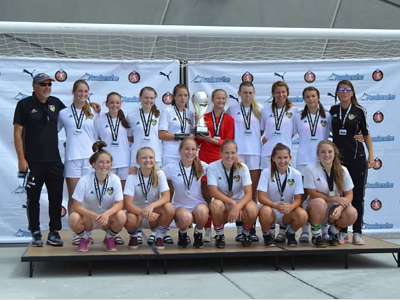 Impact Competition is one of the largest and most successful competitive programs in Utah. Formed in 1999 by Connie Martin with a vision to combine the best East Bench programs from Highland, Skyline, and Olympus boundaries. The 3 stars on our logo represent the United combination of our Competition, Recreation, and Academy and the development of players through our programs. Competition teams are formed annually at tryouts with week after Memorial Day. Impact places high emphasis on developing players starting early through our recreation and academy programs. Coaches work to foster and encourage club passing and guest play. Time on the field and focus in training with quality coaching and training resources makes the difference. All Impact teams play on average 2 games per week during season, and train year round including twice weekly training at our state of the art indoor training facility at Riverbend. Teams compete in UYSA gaming leagues in Fall and Spring, all our teams have access to fields, resources, and venues. We recognize not all players have the same level of focus on soccer and want to pursue other activities. Competition participation require higher commitment levels and we encourage our teams to travel and compete in tournaments locally and out of state to gain valuable experience and exposure. Impact emphasizes training and commitment to developing skill to compete at a consistently high level regardless of division. You can only build quality teams with quality coaches...and we pride ourselves on providing excellent coaching resourcing for our competition teams. Our coaches dedicate training sessions focused on tactical and technical skills, providing year-round training. Impact Training kits are to be worn at all training sessions and are issued to every player. All teams are required to wear their club gear with pride and professionalism. All team managers and coaches meet to plan and coordinate upcoming tournament participation. Not all teams will participate in the same tournaments or the same number of tournaments, however, as a club we’re encouraging teams who are going to travel and participate to work together to take advantage of development opportunities and of course to have fun traveling with their peers across the club to feel more connected and part of something bigger than just their individual team! Based on coaching pay matrix, tournament selections, winter league play, and any other team activities. Coaches and Team Managers plan a yearly calendar and budget, which includes estimated team expenses. The calendar and budget are finalized with parents and players. The formal registration process begins after the players are placed on their specific teams and are given their player access codes. Steps to register online are made available after tryouts. Club registration fees do not cover uniforms, tournament play, winter league play (futsal or indoor soccer), as these typically vary more by team based on level of play and commitment. All winter indoor training fees ($300) are included. We train at the state of the art Riverbend Sports Complex from Nov-March. Impact adheres to a consistent coaching pay matrix built on their United States Soccer Federation licensing level and years of coaching for the club. This coaching fee matrix is applied across all Impact competition teams and eliminates inconsistency and discrepancies associated with any supplemental fee charges. 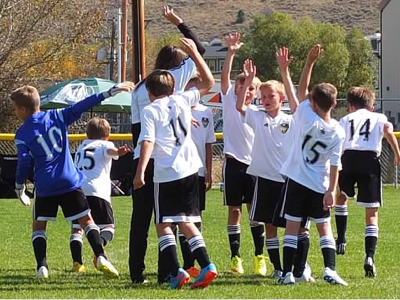 Monthly Coaching Fees – monthly coaching fees are based on coaching license level and years of coaching for the club. Team Managers will be given the fee matrix after tryouts and in conjunction with team treasurer, will collect and pay coaches directly at the end of each month rather than through the club. Uniform Costs – We follow a bi-annual uniform cycle. Base uniform costs typically average $130 for full home and away kits. Replacement uniforms are available as needed. Registration fees – Please note fees can be split into four consecutive payments or paid in full when you register. There is an additional UYSA fee charged for all participating UYSA players regardless of club. The following fees and estimates apply for 2018-2019 competition season (Fall and Spring). Note: All winter indoor training fees ($300) are now included in club registration so we don't have to collect team by team throughout the year. UYSA Fees have increased to include Legacy Field funds. Payments can be made in 4 installments at time of registration. Team fees are collected monthly and vary by number of off season leagues and tournaments your team participates in.